Opening times Mon–Wed 9am–5.30pm; Thu 9am–8pm; Fri–Sun 9am–5.30pm. Farm shop selling traditionally reared beef, farm grown vegetables, local produce and artisan goods. As manager Nikki Storrar points out, this farm shop is a place where 'the food miles are literally metres'. Beef reared on the farm makes the burgers and steaks while seasonal veg makes its way across the field to the wooden crates that fill the shop. If there's none, the staff may even go and pick some for you. 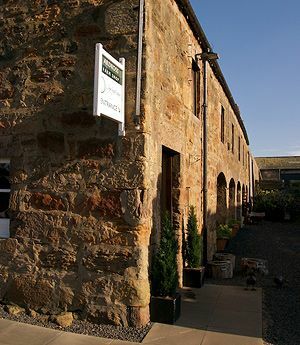 Born out of the need to make the farm financially sustainable, the shop grew into an outlet for showcasing local producers and a genuine alternative to supermarket shopping. From meat, fruit and veg to bread, dips and beers there's plenty to fill the basket in an neatly laid out space with plenty of staff on hand to provide help and suggestions. Voted farm shop of the year in 2014 and it's easy to see why. Looking for events in Elie?